Even to the most casual observer the pattern emerging within popular media over the past few years must be noticeable. Whether in movies like Blade Runner 2049 or The Purge, shows like Black Mirror, Electric Dreams, Altered Carbon, A Handmaid’s Tale, or video games like Deus Ex, narratives depicting technologically advanced alternative worlds and potential futures are coming to define this moment in popular culture. All flashing, neon signs are pointing to the conclusion that we are in the midst of some sort of science fiction renaissance. Unfortunately, the future is not bright. The fictional worlds that are gripping the collective imagination are ones where technology has led to various levels of dehumanization and alienation, where poverty is rampant, and mega-corporations or authoritarian governments reign supreme. Truthfully, it is not hard to imagine why these narratives are gaining renewed appeal. Works of science fiction act as mirrors that reflect our society’s collective anxieties, fears, and hopes regarding our past, present, and future circumstances. As our present moment is becoming more defined by the increase in feelings of alienation and displacement, as the result of social and technological changes, the worlds we have imagined have followed suit. It feels as though we have lost our sense of home, our place in society, and even our society’s place. However, there exists an oasis within the bleak desert of neon lights, grey concrete, and cold steel. A genre whose science fiction narratives are defined by their hopeful depictions of the future: Afrofuturism. To better understand Afrofuturism’s past, present, and future, we sat down to discuss the aesthetic and cultural movement with award winning author of Afrofuturism: The World of Black Sci-Fi and Fantasy Culture, Ytasha Womack, whose new short film, A Love Letter to the Ancestors From Chicago, is a new addition to the genre. Several points in time are important to consider when attempting to pinpoint the exact date of Afrofuturism’s origin. When Mark Dery first used the term in his 1994 essay, “Black to The Future,” he was not announcing a bold new aesthetic or cultural movement just emerging. To the contrary, he was merely one of many that were reflecting and theorizing on existing thematic strains within seemingly disconnected works by Black authors and artists. Womack explained that, though Dery was the first to develop the term, the social, political, and technological conditions at the time were leading many cultural critics to theorize separately yet simulataneously. She explains that these critics were looking at “comic books, funk music, early hip hop, and the idea of using non-instruments as instruments” looking for the “through line between these innovations in musical expression, this sound of the future, with other Sci-Fi expressions” within modern and classic works by Afrodiasporic artists and authors. Another scholar of Afrofuturism, Lisa Yaszek, labels Afrofuturism an “international cultural and aesthetic movement.” Specifically, one that seeks to reweave and disrupt dominant narratives regarding the relationship between science, technology, mysticism, and race. By juxtaposing recognizable science fiction settings, language, and products with African cosmologies and symbolism, it combats whitewashed visions of the future, and Eurocentric versions of global Black history, that both of which equate Blackness with being primitive. “Afrofuturism is more than just breaking down racial constructs,” Womack says, “it is really a way of triggering the imagination so that people can look at themselves and celebrate and build on a culture outside of feeling limited by race, that it is about reclaiming humanity outside of these racial norms.” As one might guess based on the name, imagining the future of Black people is an intrinsic part of Afrofuturism. However, not every futuristic setting that contains Black people constitutes a work of Afrofuturism. Central to the movement is its commentary on the place of Black people and Blackness in the future. In order to understand that, we must confront the dominant narratives we are told about the past, present, and future of Africa and Blackness. Mainstream media, common knowledge, and even formal education paints pictures of Africa and Blackness in the real world that are similar to the dystopian fiction that is currently gripping consumers of pop culture or disaster tourism. In some senses, within mass media, Africa constitutes a site of absolute dystopia, with various sides debating the cause. Hopeful visions of the future become a prominent thematic element within Afrofuturism, which distinguishes it from other narratives about the future. Utopic visions of Afrodiasporic societies are common within Afrofuturist literature. While Wakanda is now perhaps the most famous, The Darkside Trilogy tells the story of a hyper-advanced race of Black people who live on the dark side of the Moon, having escaped the Atlantic Slave Trade. The utopian societies in these instances represent a home divorced from the reality of racism that either exists amongst the stars or within the heart of Africa. Dery wrote that Afrofuturism is a “process of signification that appropriates images of technology and a prosthetically-enhanced future to address concerns that people of colour face in contemporary culture.” The concerns that Dery references are those born out of the Afrodiaspora, its ideological foundations, and their lasting effects on Black People. 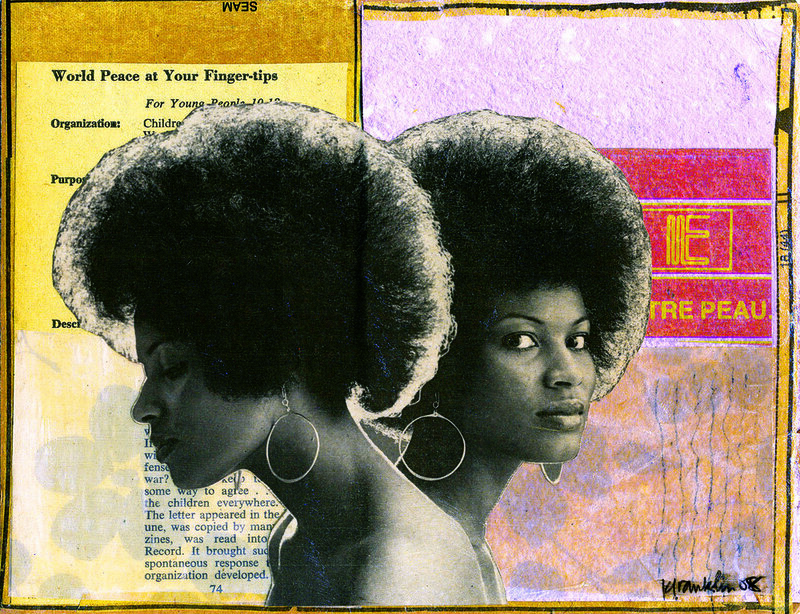 The Afrodiaspora serving as a focal point for works of Afrofuturism results several themes become important, alienation and displacement being chief among them. Not only is the physical act of being displaced from one’s homeland and culture important, but also having that homeland and culture displaced from modern narratives of history and progress. As the result of the Atlantic Slave trade, there is the reality of being displaced, literally an alien in a strange land, and treated like an alien, in various contexts, and the epistemological and symbolic violence of being alienated as the result of your culture and history being displaced from the history of the world’s progress. Afrofuturism acts as a direct challenge to that narrative, actively weaving counter histories and futures. Womack tells us that Afrofuturism, by “asserting that Blacks are in the future,” also serves as a reminder that “Blacks were in the past as well.” That Africa is a land without history, a place that has had no effect on the trajectory of the world is a myth. Womack tells us that Afrofuturism has always contributed to the “realms of knowledge around science, and are, and space and have had ideas about how to move forward.” The idea of Blacks as aliens has not been shied away from, especially by early visionaries considered to be part of Afrofuturist canon. Both Sun Ra and Lee ‘Scratch’ Perry, Jazz musicians in the 1950’s whom Afrofuturist scholars consider to be the first true Afrofuturist artists, adopted the persona of alien visitors from other worlds, taking the metaphorical feeling of alienation and adopting it into an aesthetic. The historical and social conditions of the time seem to indicate the choice to adopt an aesthetic more explicitly identifiable as science ficiton was made consciously in reaction to the burgeoning Space Age, and served as a demand that Blacks be included in it and challenging the notion that Blackness is antithetical to progress. However, this use of science fiction as a vehicle for conversations on racial dynamics and history is far from novel. Science Fiction is one of the “signature languages of modernity” and has long been a unique space for commentaries on race. Perhaps this is because the experiences of alienation and estrangement experienced by Afrodiasporic people not only form much of the bedrock for our society’s conception of “the alien other,” but also because the alienation now being experienced broadly as the result of late stage capitalism and late modernity can be said to resemble the same alienation experienced by slaves and their descendents. Despite this, race is both conspicuously absent and omnipresent in mainstream narratives about the future. During our interview, Womack said that, despite the wealth of perspectives that Black people have shared as part of our culture, they do not always see themselves or their culture “reflected in narratives about the future.” When the future is not completely whitewashed in media as the result of casting, rarely are there any signs of the legacy of racism existing within our modern narratives of the future. Arguably, this implicit narrative contributes to the framing of racism as an individual moral and intellectual failure, one that is antithetical to progress within Western society, as opposed to a key component and often engine for progress. It is almost taken as a given that as society advances, technologically, racism will naturally become outmoded. Womack complicates this narrative, pointing out that “technology is not always a symbol of progress” when divorced from Humanism. Alternatively, while sometimes this is merely coding, commentaries on race relations, colonialism, oppression, and associated themes form the crux of many prominent science fiction works, with works in the genre breaking down many doors. This trope should be recognizable to anyone who has seen movies such as Avatar or Fern Gully, or any endless number of Star Trek or Doctor Who episodes. (At the meta-level, the first interracial kiss on television took place on Star Trek:The Original Series and was between Captain of the USS Enterprise James T. Kirk and Communications Officer Nyota Uhura). At the symbolic level, she explains that within science fiction the literal alien other often serves as an allegory for Black or Indigenous populations. The frequency of these themes within science fiction can be attributed to one of the central themes in the genre: Humanity. Womack tells us that “the experience of people of African descent in the Americas” has been defined by their “negotiation around having the full human experience.” Therefore, according to Womack, the goal of Afrofuturism becomes to “create in ways that value humanity.” While the conversations on the nature of humanity are now being debated in science fiction, and some segments of the scientific community as they pertain to advanced artificial intelligences and alien species, it is easy to forget that these conversations started in relation to Blacks. However, works that simply have a Black protagonist in a futuristic setting cannot be accurately considered as Afrofuturist in nature. Intrinsic to the genre is the goal of reconfiguring our conception of Black history by engaging with possible Black futures so race must play an explicit part of that conversation. Furthermore, while we are familiar with the reality of race as a social construct, Womack asks us to take it a step further when engaging with Afrofuturist work and conceptualize race as a technology. Central to understanding Afrofuturism is comprehending that, irrespective of the medium, it seeks to complicate and dismantle the lingering myths that were foundational to the creation of this technology of race. In order to understand this, Womack asks us to accept a novel framing for race, as opposed to a biological reality, is instead a “technological” creation. As is the case with all technologies, it was invented to accomplish a certain task, and that task was to “justify the Trans-Atlantic slave trade” and facilitate a “class system that was based on color and land mass.” This allows for the emphasis to be placed on its utilitarian and solutionist nature. The invention of race, as a system, did not occur as a mere happenstance. To the contrary, it occurred as the result of trying to justify and facilitate a “class system.” Ironically, as the futures that have gripped the dominant culture have become darker, there has been a renaissance in bright futures being imagined by Afrodiasporic peoples. While the future may look bleak, the future of Afrofuturism looks brighter. In some ways, the continued adoption of the cultural aesthetic, as well as its expansion into new spheres of social life, is a testament to the power that naming a phenomenon can have on its propagation. Since being christened roughly a quarter of a century ago, the genre has seen an uptick in those seeking to adopt it. Also interesting is the dichotomy between those who are now consciously adopting the tropes, aesthetics, and criticisms present within Afrofuturism with their forbears who have been retroactively included into the canon. Janelle Monae is perhaps one of the most visible additions to the Afrofuturism genre, self-consciously adopting the genre in her past two albums and many of her music videos. Going so far as to adopt some of the alien imagery that was once heavily utilized by Sun Ra. The revival of the Afrofuturist movement, much like its origins, can be attributed to the current social conditions of Black people. The Black radical imagination is re-emerging as a force for political and social change and the Afrofuturist movement serves a crucial role in that renewal as a message of hope.